Everybody gets knocked down at one point or another, and we’ve all heard that what’s most important is that we get back up. But just how, exactly, do we do that? In part 2 of a series with hall of fame karate Senior Master Bob White, Dr. Daniel Amen and Tana Amen discuss how to use your pain to create purpose for others, taking self-inventory, and being curious, not furious in the face of your mistakes. 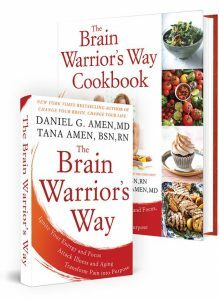 Dr Daniel Amen:	Welcome to The Brain Warrior's Way Podcast, I'm Dr. Daniel Amen. Dr Daniel Amen:	Welcome back everybody. We're here with master Rob White, karate hall of fame, 10th degree black belt. Tana Amen:	There's so many. Dr Daniel Amen:	Very rare in the universe. He's a very dangerous person. Tana Amen:	He is so sweet. Dr Daniel Amen:	We are fortunate that we love him and call him our friend. He has a new book, Life in Session, which you can get at Amazon. Is it on barnesandnoble.com? Senior Master Bob White:	No, it isn't. 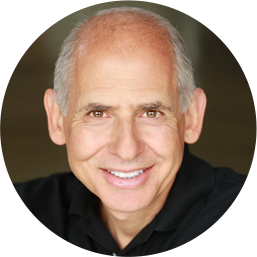 Dr Daniel Amen:	Just Amazon or on Bob's website bwkenpo.com. We're so grateful that you are here, that you have survived the alcoholism and the cancer; most recently, the cancer. What we want to do in this podcast is talk about how did you do that? Tana Amen:	how long have you been sober? Dr Daniel Amen:	Let's start with the alcoholism. How did you overcome it? You said in the last one you were 28 years sober. Senior Master Bob White:	Yes, 28 years sober. Actually as I mentioned earlier, we have someone that came into the studio. I see him, he's my student, that I've learned from him so much throughout the years. It's just a constant evaluation on what pain is, what pleasure is. We always move towards the pleasure, and the pleasure for me is the complete opposite of when I was drinking, is living a life of sobriety, which enables me to have a relationship with the Lord, which gives me peace and service. Service, my friends in some cases are going through turmoil. I said I could help them, they just started drinking more. I can give them a little more direction. Normally, if you're really in bad shape mentally and you're just upside down, if you could think about what you could do to help somebody else, it gets you out of your own mind and it gets you into a good place, where you're really doing something of value to help somebody else. Tana Amen:	You were a big inspiration for the karate, my martial arts, which for me has been very healing in many ways. It's a metaphor for my life. I try to get so many people to do it because it works for me as a metaphor, as being empowering for any woman who's had to go through something disempowering. You were a big inspiration, which is why I titled my thesis The Brain Warrior's Way. Then we decided, we were like, "That's a good metaphor for both of us, for our lives and for our community." We titled our book The Brain Warrior's Way. We have section in there exactly about what you're talking about, pain to purpose. Use your pain to create purpose for others. Senior Master Bob White:	Correct. It's that Rick Warren thing, don't waste the pain. Don't waste it. Whatever your experience, strength, and hope is, it could be shared with others. That's why Alcoholics Anonymous works, it's because it's one alcoholic talking to another. It's somebody that has experience what you experienced, that understands and help guide you as opposed to somebody who's detached telling you what you should do. What they do is they tell you what they did and that has a lot more validity. Tana Amen:	Of course. I think there's something to be said about pain shared as pain divided. You carry it with other people as opposed to thinking you're just all alone in the universe. Senior Master Bob White:	I find you're not as unique as you think you are. Dr Daniel Amen:	You got tired of the chronic effects of alcohol. Was there a decision point where you went, "Okay, I've had enough of this." Senior Master Bob White:	Yeah, actually there was. I went into a restaurant with two of my black belts, and we ordered three beers. I grabbed the beer and I took a drink of it. I just put it down and I went, "I can't do this anymore." That was the turning point, I haven't had a drink since. Dr Daniel Amen:	What was the thought process with this? "I can't do this anymore" was connected to what other? Senior Master Bob White:	I've always been a fighter, I've been a competitive athlete, played football and baseball in school. It was all about competition and we can overcome anything. We don't surrender to anything, there's no quit. Quitting was never anything that ever entered my mind or I was taught. My father was like this, he never drank at all, so I made up for whatever he didn't do, I tried to cover. There was no quitting. When I surrendered I got my strength, which is completely opposite of anything I ever thought of before. Tana Amen:	One of the things I really like in the book was just how brutally honest you were. That was the point where you decided it had been enough. You sort of mentioned there were a few times where you knew you needed to stop, but you just couldn't quite get there yet. Tana Amen:	You knew this was a problem. This is for our people listening, because I think a lot of people wake up in the morning and they're like, "I need to stop, I know today I need to stop." They're not quite there, it doesn't happen. There's that struggle. Finally, you had one day where you just did it. Senior Master Bob White:	I stopped many times in my mind, it's the great obsession of every abnormal drinker to think they can drink normally. It doesn't happen, and you miss the mark one more time. Then the national anthem is, "I'll never do that again", but there you are one more time. You're waking up with that pitiful and incomprehensible demoralization, which is just devastating. One of the promises is that you never have to feel this way again, that was so powerful to me. In fact, I went into a meeting one time and this guy was talking about, "I hope you have a big hole in your gut that you can drive a truck through because you're in so much pain." I'm thinking, "I'll show you what pain is." Then he followed with that if you're not in a lot of pain, you might not make the change and you can rationalize yourself into going back. I knew that's what took place. Tana Amen:	What's Pastor Warren's saying? People don't change when they see the light. Dr Daniel Amen:	They only change when they feel the heat. Senior Master Bob White:	Well it's true, and I believe that. If there's no pain, you're not going to make a change. Dr Daniel Amen:	Some people will use the good brain God gave them and go, "Okay, I see the train coming to hit me and I'll get out of the way." Unfortunately, alcohol is the deceiver or it opens space for the deceiver to let us tell lies to ourselves. I don't drink and I've never used drugs because I never want to be out of control. I don't want those things controlling me. I'm rationally afraid of them, because I think given the devastation I've seen. We fuss on Facebook all the time, I'll post things about alcohol, "A little bit is good for you, look at the science." I'm like, "We've done 140,000 brain scans, the worst ones are the drinkers." I want a better brain. You have kept this up for 28 years. When you think about that, what are the things you've done consistently to help you stay sober and stay healthy? Senior Master Bob White:	I do inventories a lot. I'll do an inventory on a class you and I work with each other. I think, "What could I have done to be a better teacher for you?" I do the same thing with the way I spent my day. What did I do that was positive? What would I have liked to have done differently? I think that really helps me refine and be the type of person that I want to be. Was I short with somebody? Was I self-consumed? Most of my problems, if I did what is known as a fourth step, and that's doing an inventory on my behavior. Most of my problems were my ego. Tana Amen:	That takes a lot to acknowledge. Dr Daniel Amen:	Say more about that. Senior Master Bob White:	There's an acronym, everyone's heard "Ego is edging God out." A more descriptive one for me is, "Ego is the anesthesia that deadens the pain of stupidity." I think I had a monopoly on that for a while. Constant refinement of not only my physical skills as a martial artist but more of what we're talking about; behavior, and the things that you say, and the things that you do. Dr Daniel Amen:	I really like that. At the end of the day, it's looking at what went right but also what I could have done better. What I teach my patients day in and day out, is whenever it comes to your behavior be curious not furious. The self-recrimination really doesn't help because you'll medicate that away. If you can go, "Okay, I had a bad day. Why? I didn't eat. I was short with my wife. I believed every stupid thing I thought." Tana Amen:	My boss was mean. Dr Daniel Amen:	I blamed other people because both of you, responsibility is never about blame. It's about your ability to respond, Tana taught me that. It's your ability to respond to this difficult situation and you are constantly learning. I think that's how you get to be a 10th degree black belt. You don't get one and then go, "Oh, I'm awesome." It's a continuous learning proposition, and that's what we know about what keeps the brain young is new learning throughout life. Tana Amen:	You just made a really good point though. So many people get their black belt or they achieve a goal, I'm going to use that as a metaphor, they achieved the goal of like, "I made it, I stopped drinking", or whatever it is, or "I got my black belt." Then they don't go back, so they don't continue on. They don't stay connected to their community. You and I have this thing in common, which is why I love you so much. I got my black belt and I went, "Gosh, I feel like I'm just now starting to really understand how to start this journey. I just now have the basics down." I remember coming in and talking to you and saying, "What do I do now? What's the next step because now that I know the basics", I think that so many people do the opposite. They're like, "Okay, I got there so now I an relax." Senior Master Bob White:	They deprive themselves of things that can make them feel really good about themselves. Tana Amen:	Community is part of that. Senior Master Bob White:	It certainly is, it certainly is. All the things that go with your martial arts training; your fitness, surrounding yourself with people that you have this commonality with, this bond. I think that people that stop coming in, there's a void in their life. A lot of them fill it with maybe a lifestyle change. They gain weight and they don't feel as good about themselves because they don't have that same release. Tana Amen:	I've used this analogy in the past talking about other topics, but I'm going to use it here. People struggling with alcohol are going to go, "Wait, what you're talking about is not nearly as hard." I respect that as I'm working with someone who's struggling. I'm just going to use it as an analogy, because I remember coming into the studio being completely intimidated. When you see the people fighting there it's like, "Why am I here? I'm this middle aged mom, this is stupid that I'm coming in to this studio." I have this strange thing about myself that I always want to go to the best place and try to learn what I can learn. I sought you out and the fact that you take the time to be my master is humbling for me, really humbling for me. I always want to give you my best just because of that fact, that you take your time to teach me. I started training there and I never really sort of thought about the day I'm going to have to test for my black belt. I'm like, "Yeah, that's just not something I'm ever probably ever going to do in this studio, because this studio is different." The day you told me I had to test for my black belt, I remember just the turmoil internally. I'm like, "I can't do this." There's not very many things in my life I've said I can't do. I remember thinking, "I can't do this. The people that are going to be there, their level is just not something I can do." I remember going through that struggle and that feeling of "I can't do this." Then it occurred to me, how do you get to be a black belt with people like this? You need to hang out with black belts that train like that. Dr Daniel Amen:	You become like the people you hang out with. Dr Daniel Amen:	Getting well is you need to hang out with well people. If you continue to hang out with your drinking buddies and somehow magically think you're going to get well, forget it. Tana Amen:	It felt impossible, but I figured out that the only way it was going to happen was to surround myself with people who had already done it and stay surrounded by them. Dr Daniel Amen:	And you got help. Tana Amen:	A lot of it. You have to humble yourself, and then you have to stay connected. Senior Master Bob White:	When you do, great things happen. 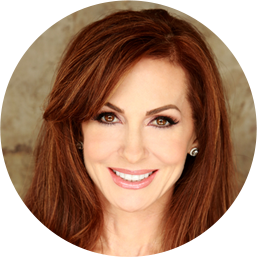 Dr Daniel Amen:	Being in touch with the pain, that helps you change. Making a decision to change; you made a decision, but you'd made it a lot, but now it stuck. Having a mentor was really helpful. Then keeping healthy, so healthy habits. This is how you optimize your brain. Giving back, I love the part in the prayer of Saint Francis for, "It's in the giving that you receive." Tana Amen:	You end your book with it. Dr Daniel Amen:	Actually in my new book, Feel Better Fast and Make it Last with the Prayer of Saint Francis. I recite it virtually every day. Dr Daniel Amen:	And like you, she's dangerous. Tana Amen:	She's deceivingly dangerous, she's just deceptive. She's frightening. Dr Daniel Amen:	We'll be back. Stay with us and we're going to talk about sustaining.